Many self-published authors are perfectly content uploading their book, doing a little promotion, getting a few bucks, and that’s that. But for the rest of us, we find ourselves becoming business owners. And while we don’t recommend starting your own Zazzle store and spending all your profits on snuggies and coffee mugs (*ahem*), we do have a couple tips for the brand new authorprenuer. Disclaimer: We aren’t lawyers and none of this is legal advice or tax advice. The very best bit of advice we ever received was to incorporate a sole proprietorship LLC before we really got rolling with the business. An LLC gives you a couple of things that help with your business life. First, with an employee identification number (EIN), you can establish business checking accounts. This will allow you to separate your business income from your personal income, which is always a smart idea. If you’re planning on doing any kind of convention or show, you’ll need an EIN to apply for sales tax licenses in many states. Come tax time, you’ll be able to funnel all your income and, more importantly, losses, through your LLC. You can only write off business expenses if you have a business, so if you’re planning on spending a lot, it might be worth it to get one started. Drove to a far-flung city for a convention? Write off the mileage. Had lunch with a beta reader? Write off the non-alcoholic expenses. 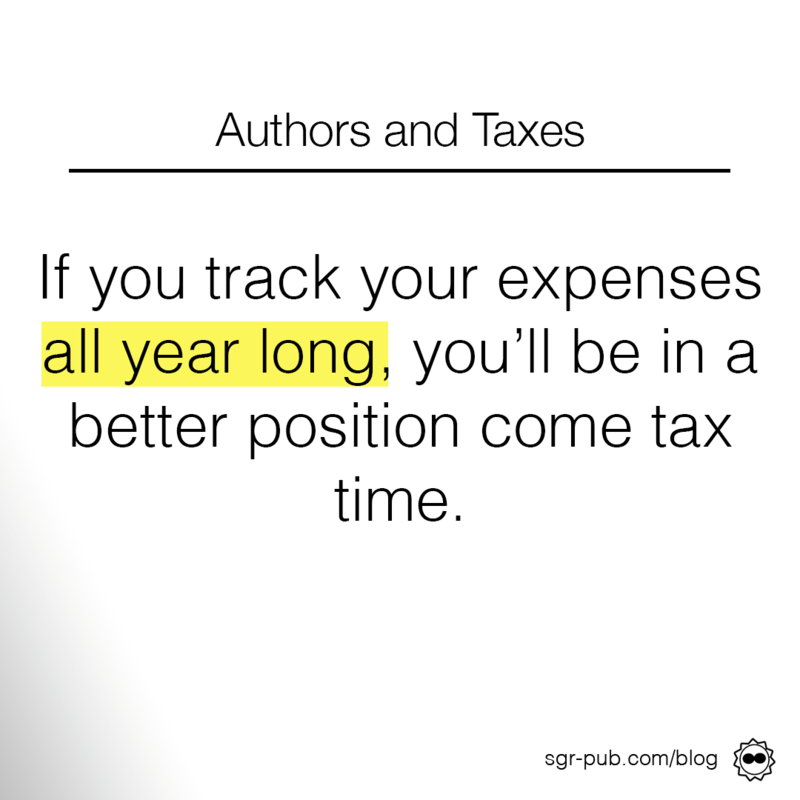 Speaking of expenses, if you’re planning on having a lot of them, it might be a good idea to get a separate account for your bookish stuff. Amazon deposits our royalties into the business bank account, and we use those royalties to pay for eBook ads, editing, and more (like a real business!). If you’ve got your business income separate, you’ll be less likely to overspend on coffee mugs and snuggies. Essentially, you want to get to the point where profits exceed expenses. But the old adage “you have to spend money to make money” remains true. You’ll need to invest in a cover designer or at the very least an editor. You may want to spend money on advertising, like newsletters or Amazon ads. The key here is to experiment, but as with everything else, keep good records. If you’re using the same Facebook ad set over and over again, and finding absolutely no return on investment, why continue?